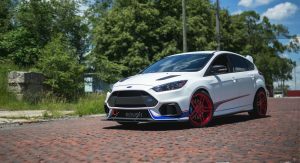 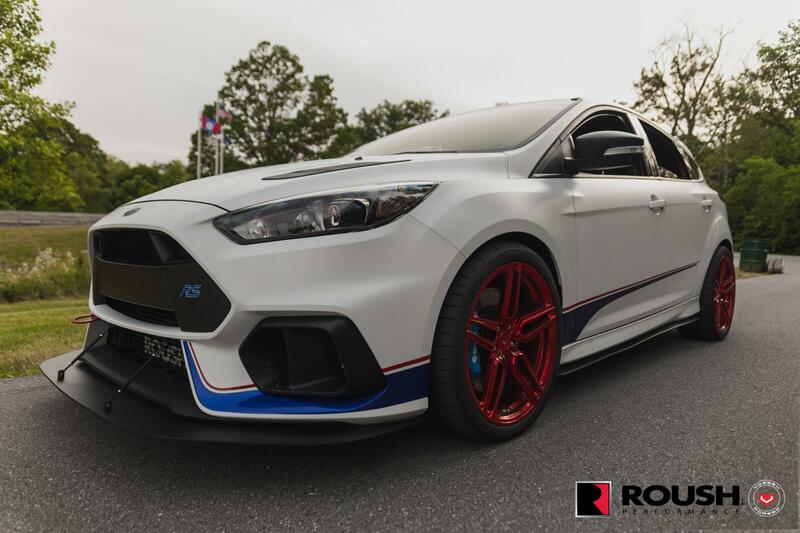 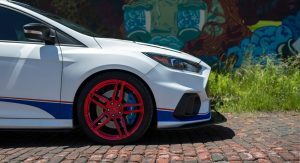 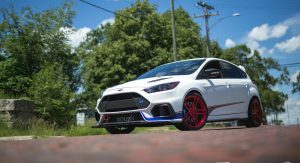 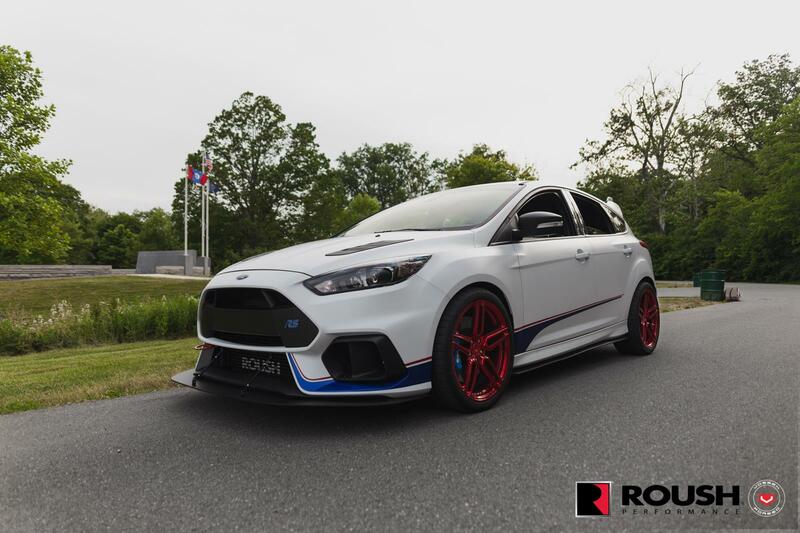 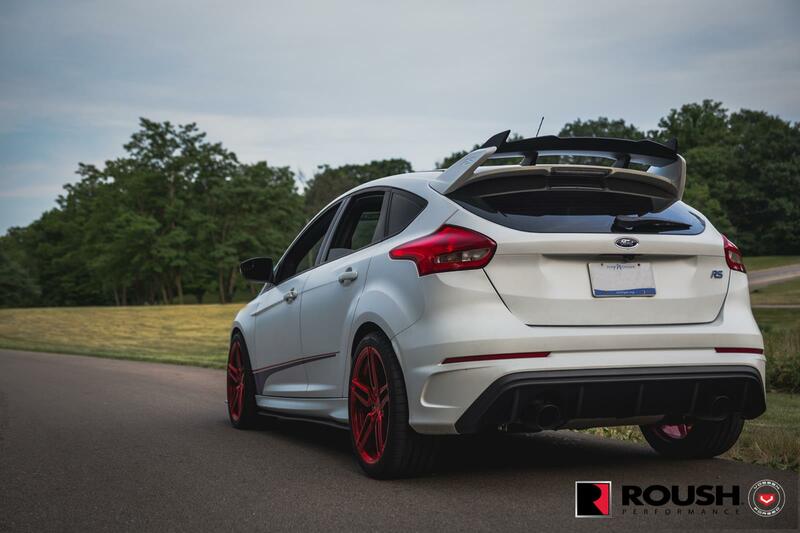 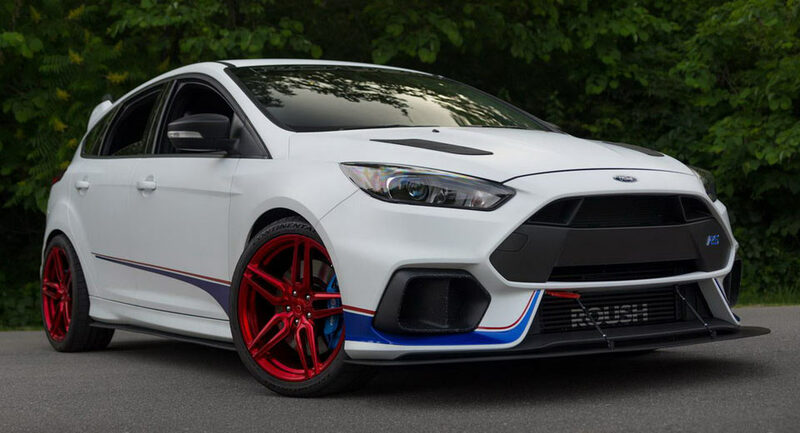 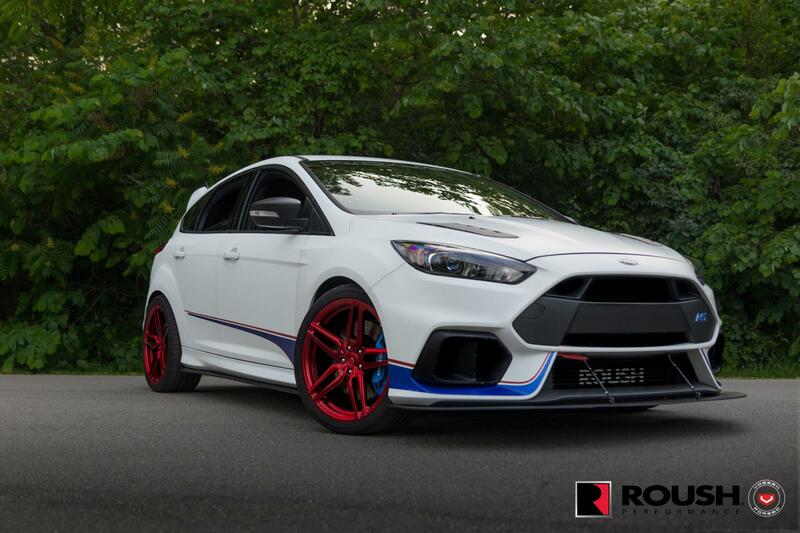 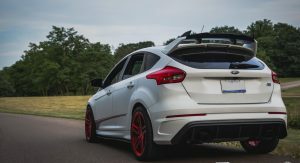 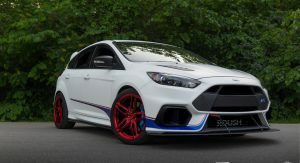 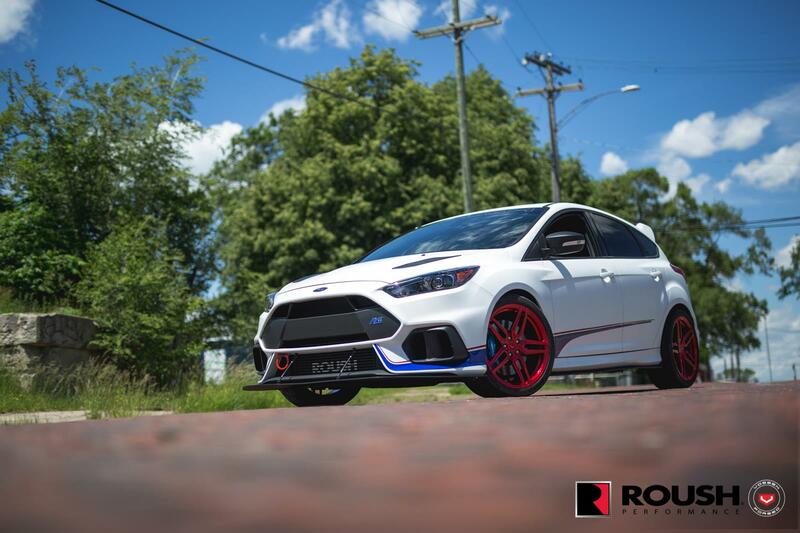 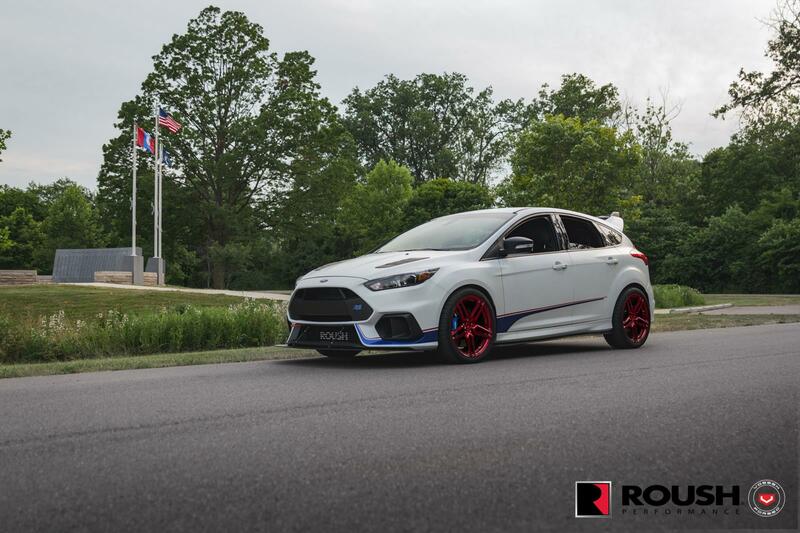 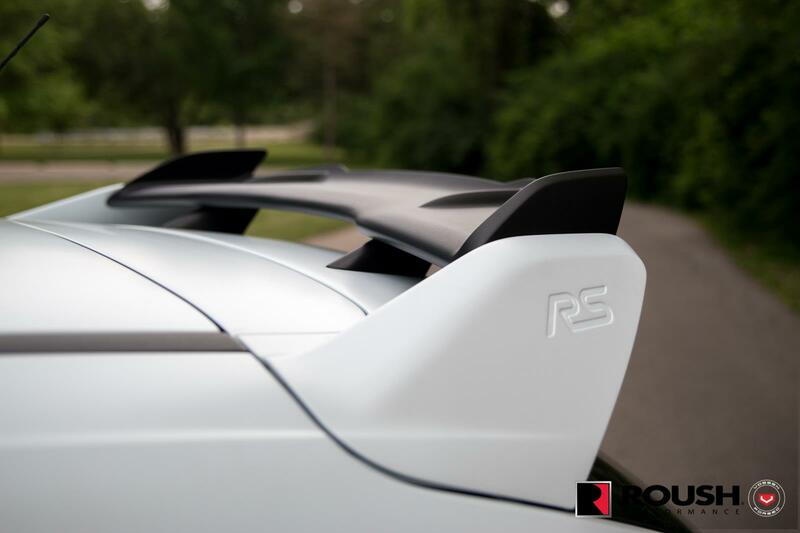 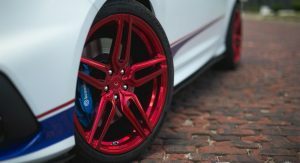 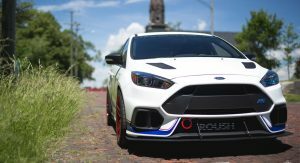 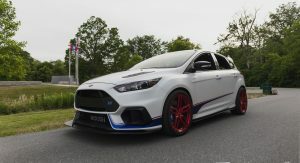 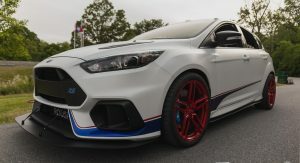 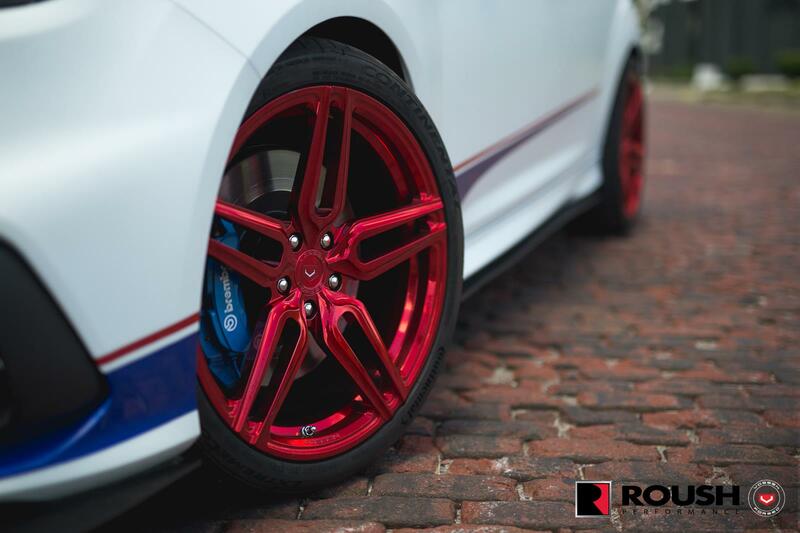 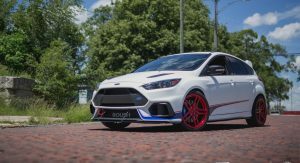 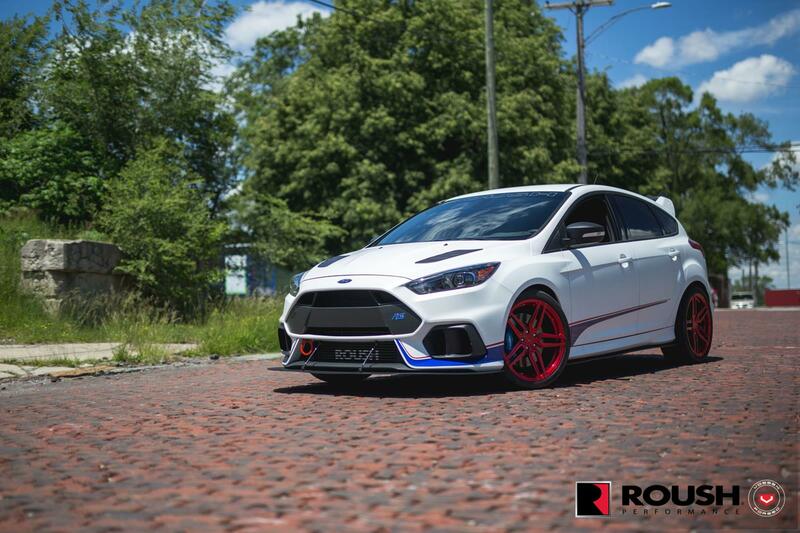 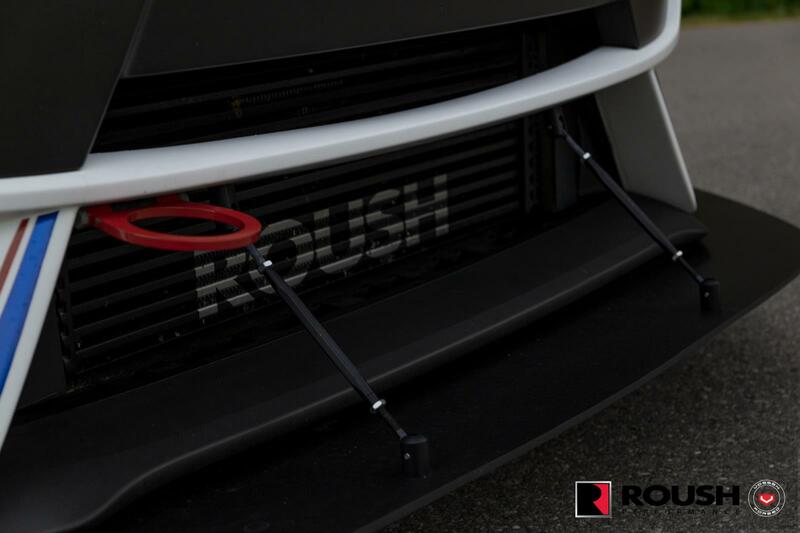 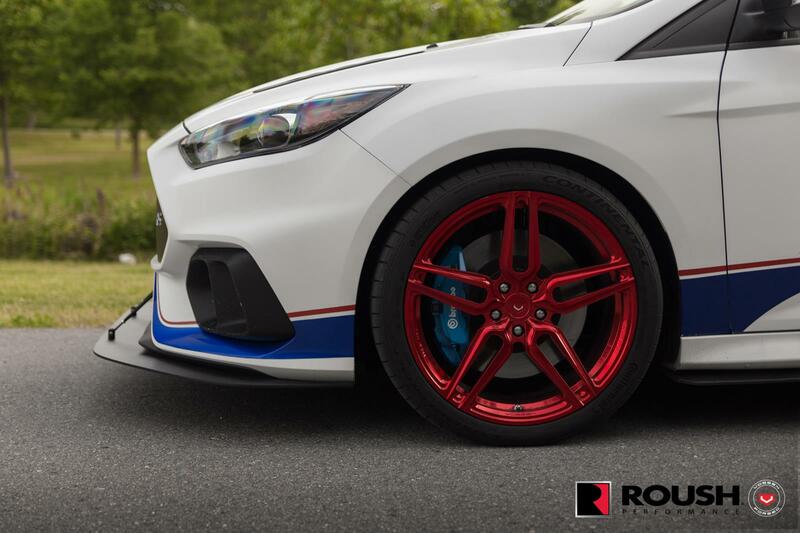 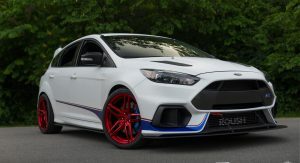 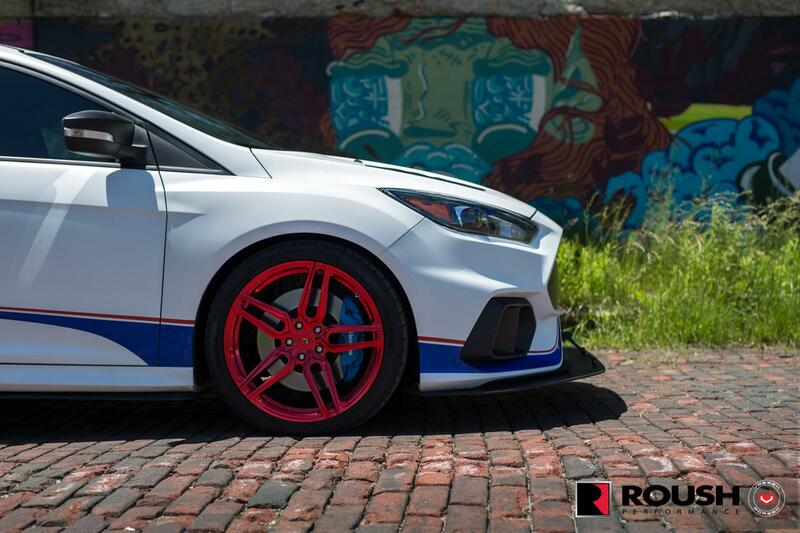 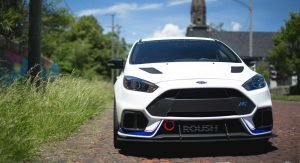 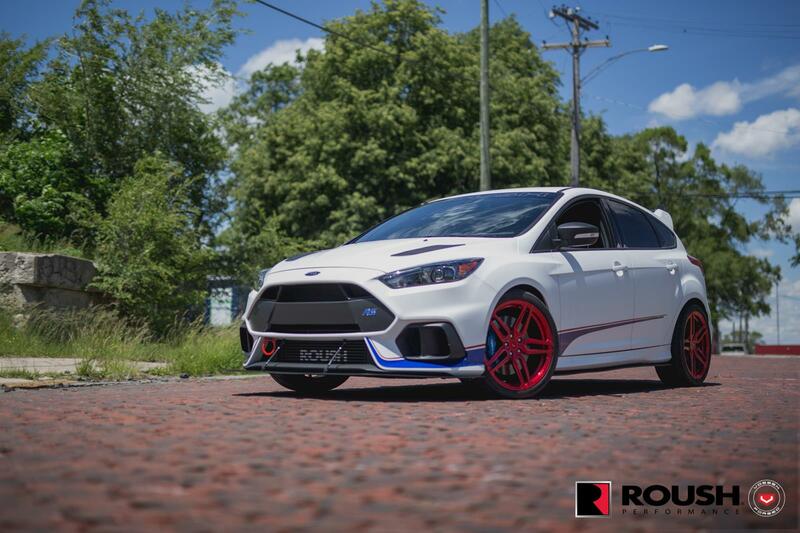 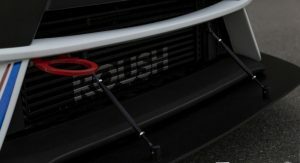 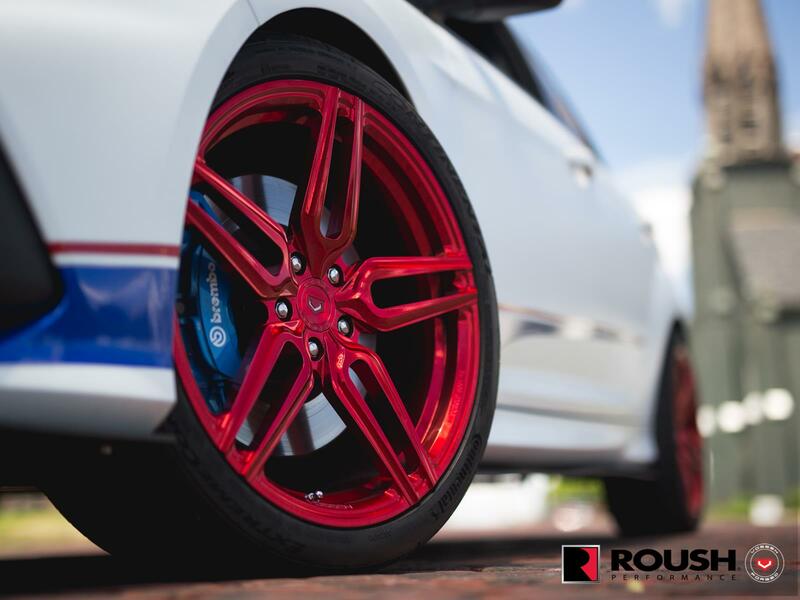 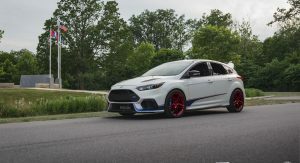 When Roush brought their 500 PS Ford Focus RS to SEMA last year, it was wearing a set of forged 19″ dark blue wheels that matched the calipers as well as some of the stripes that run alongside the body. 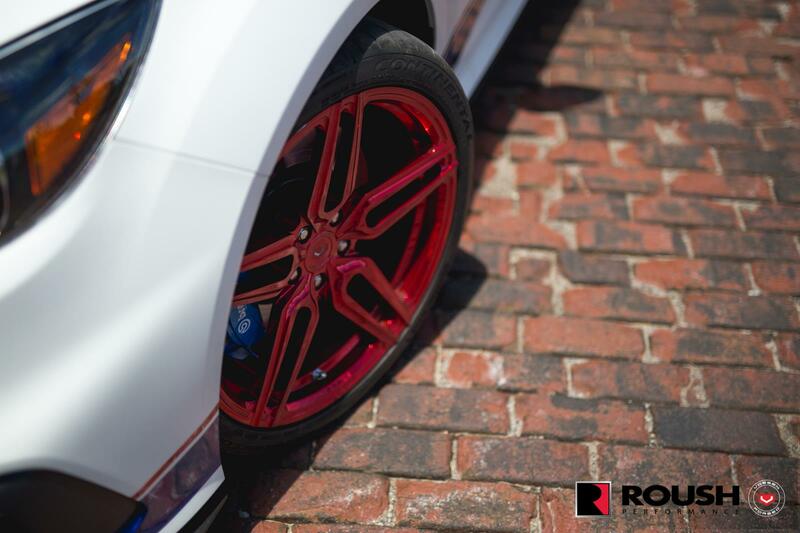 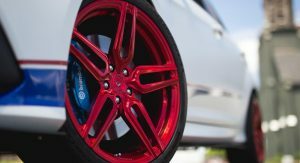 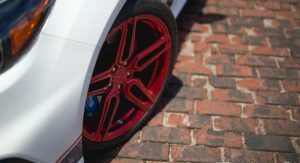 Sure enough, these red HC-1 Vossen wheels also measure 19-inches and definitely help create a richer contrast of colors. 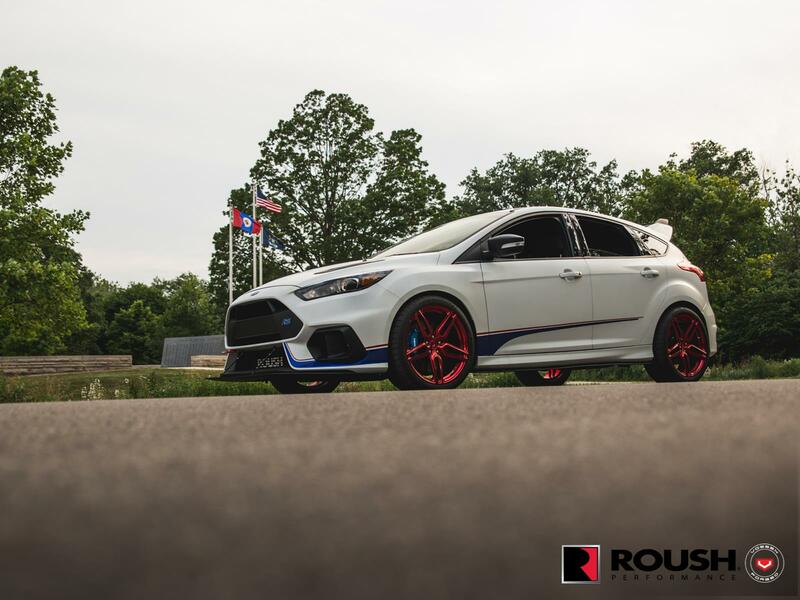 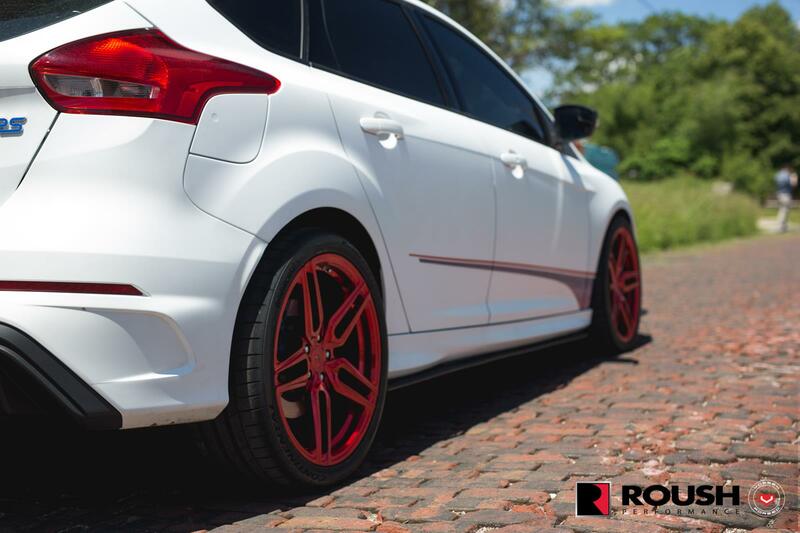 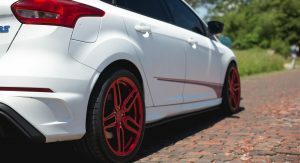 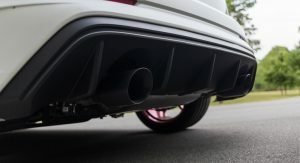 Of course, the highlight of this Focus RS is not its wheels, but its power. 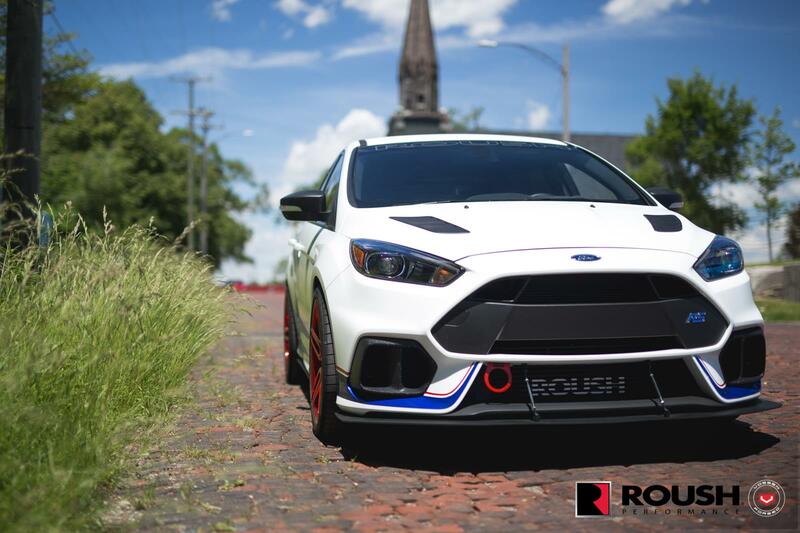 Where the stock model puts down 350 PS (345 HP), this Roush-tuned example is good for 500 PS (493 HP) thanks mostly to a new engine block and multiple ECU mods. 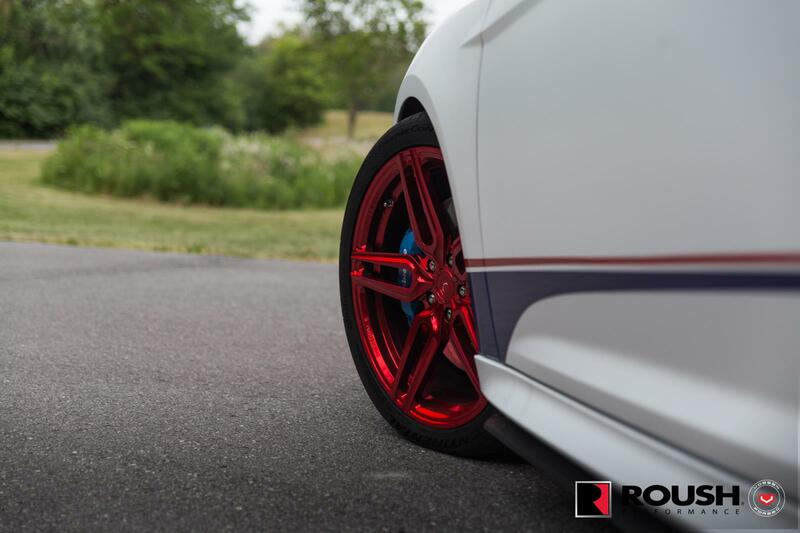 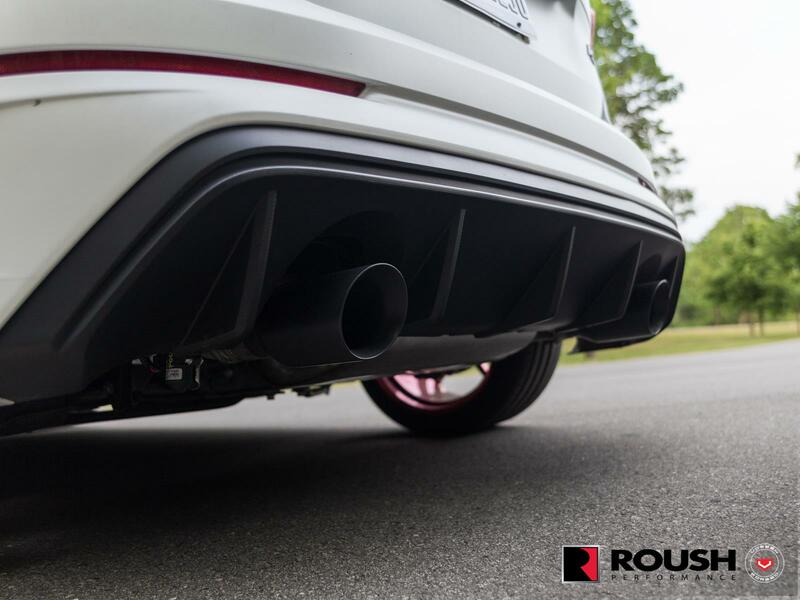 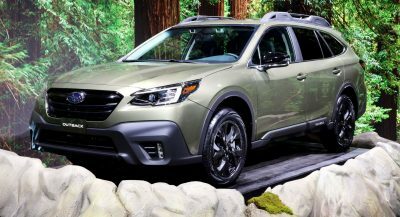 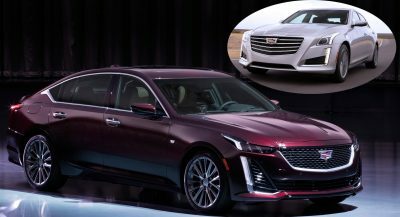 Other improvements include new brake rotors, better cooling, an active exhaust system and a custom 3-way adjustable suspension built by Roush. 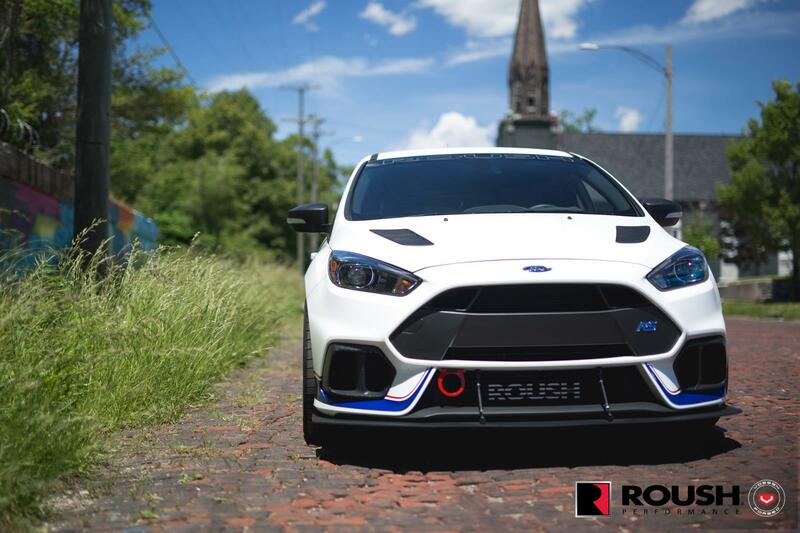 As for visual changes, there’s a custom front splitter, a custom rear wing, new diffuser and hood vents. 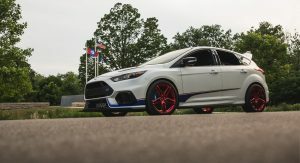 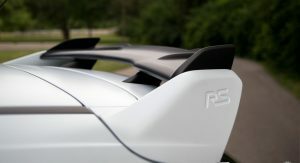 Unfortunately, no official performance figures have been released, but it’s a safe bet it will hit 62 mph (100 km/h) a lot faster than 4.7 seconds, which is what the stock Focus RS is capable of. 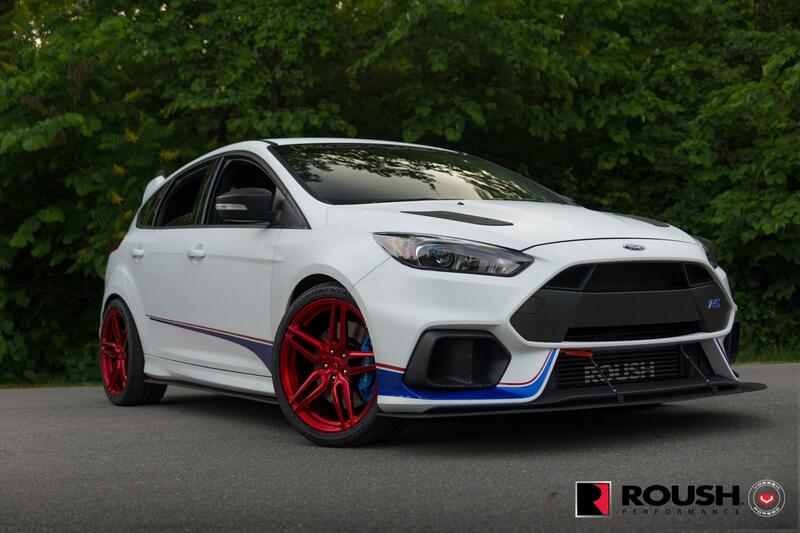 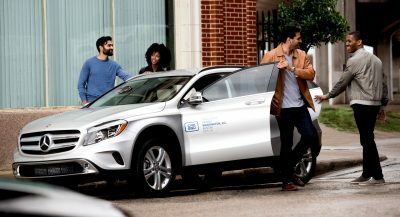 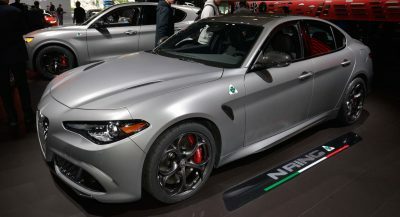 500hp, yes. 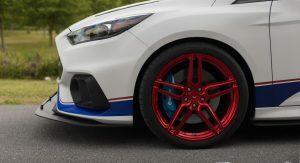 Those wheels and stickers, no.